The sight of their yellow and black fuzzy bodies might be enough to make you move and wiggle like a professional interpretative dancer. Most people will unhesitatingly express their distaste with bees and the possibility of being stung, BUT these tiny furry wonders carry the weight of the world on their buzzing backs. So yes, the thought of a sting can notably be petrifying, yet we humans have to give thanks where thanks is due! Not to be mistaken for The Terminator. Bees transfer pollen between flower to flower or plant to plant. Pollination ensures that a plant will produce full-bodied fruit and a set of viable seeds. You should know (again, give thanks), that bees are responsible for somewhere between 80-85% of all food crops for us humans. That means between 1 out of every 3 bites of food you eat is there because of pollinators! Not impressed yet? Okay here’s this, they also help the entire ecosystem function. 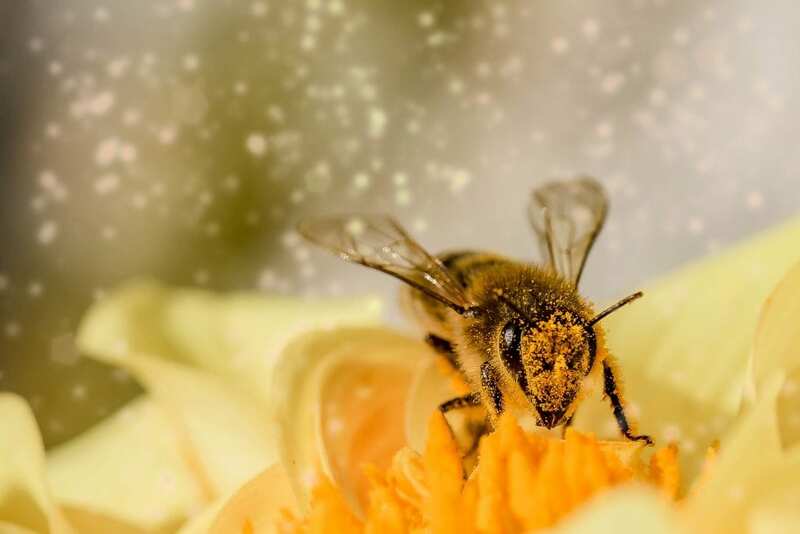 Other than us humans, pollination impacts wildlife, stabilizing soils, protection from severe weather, and supports ecosystems that clean the air. Helping prevent cancer, heart disease, gastrointestinal disorders and diabetes. Honey also reduces coughs, can increase athletic performance, heals wounds and fights against bacteria. With an understanding of just how important these furry and buzzing creatures are, it is vital that if you are in need of bee removal – the company hired does so in an ethical and live manner. Why harm wildlife that helps gives us so much life? And who wouldn’t want some honey for their hunny? Bees have the capacity to make the most wonderful structures. Take, for instance, the honeycomb. And it’s even more amazing when such a structure produces something that provides many uses and benefits for everyday life. There enter in, beeswax. Although beeswax has many benefits for us humans, it also helps safely store honey produced by the bees. It can help protect the hive from infections and other unwanted contaminants. Beeswax has non-allergenic properties that can make it a useful protection from various airborne allergies. Beeswax contains natural moisturizers that make it useful as a skin and lip balm. In some cases, beeswax can be applied to minor burns or other skin damages in order to help the skin heal. Beeswax is used in relieving pain and inflammation and has mild anti-swelling effects. Beeswax, as you may have experienced on chapped lip kind of day, is a life saver! The natural moisturizers in beeswax make it a perfect lip balm. Live bee removal of honeybee colonies gives the colony a chance to thrive and benefit the environment in which we live! Call us today to schedule your free estimate and inspection or answer any questions you have regarding live bee removal.